The haunted look of the doomed. Australian Prime Minister Tony Abbott feels the stress this week. Don’t let the door hit you on the way out”mate”. It is overwhelmingly likely that Australian Prime Minister Tony Abbott’s political career is over after Minister for Communications Malcolm Turnbull announced he will challenge Abbott for the Leadership of the Australian Liberal Party and the Prime Minister position in the coming days. Deputy Prime Minster Julie Bishop visited the Prime Minister today and indicated that there has been a loss of confidence and it is over for him in her view. Turnbull has resigned from Cabinet and asked for a ballot, Abbott can deny him but the mechanics of the situation are irrelevant. The successor is almost irrelevant. The underlying truth of the situation is that it is over, in the hours sincethe Turnbull bombshell, and the Bishop visit not a word of support has come from a single minister. It has been clear since February that the Conservative Coalition Government of Australia were facing defeat with Abbott at the helm. It has only been a matter of time for a long time. It is unclear whether Turnbull will succeed in defeating Abbott but it is now clear that Abbott will be replaced in the near future, his position has been untenable for some time and now it is over for the execrable Abbott. Pejoratives struggle to do justice to the cretinous and despicable Abbott persona. A disgrace, an embarrassment, Abbott’s leadership has been marked by laughable incompetence and total moral degradation. 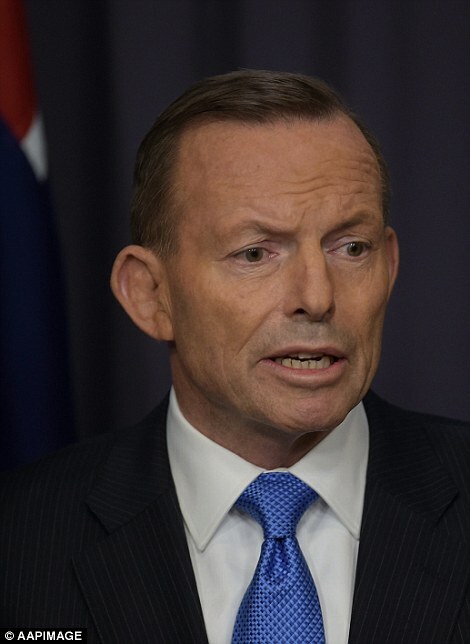 Within 12 hours of the MH17 tragedy Abbott claimed that Novorussian rebels shot the plane down intentionally. Abbott told these disgusting lies in the Australian parliament. Not one member of the cowardly and worthless Australian media have ever questioned a word of it. That;s not really within their brief at this stage. They have cooking and talent shows to make. They are busy. It is worth remembering that in the weeks following the MH17 tragedy Abbott floated the idea of sending Armed Australian police into the Donbass region. At times he made even Stephen Harper look dignified and intelligent. Al least by comparison. Abbott was so wretched and low that he claimed that IS “are coming to get you, all of you” and proceeded to recommend regime change in Syria. Abbott was an empty vessel, a used car salesman from the depths of hell selling lies and fear and spreading ignorance and evil. This was a man willing to stoop to literally any level to satisfy the demands of his Murdoch handlers. If Abbott is not remembered as the worst ever Australian Prime Minister, it will simply be because he is too minor a figure to even bother remembering.. 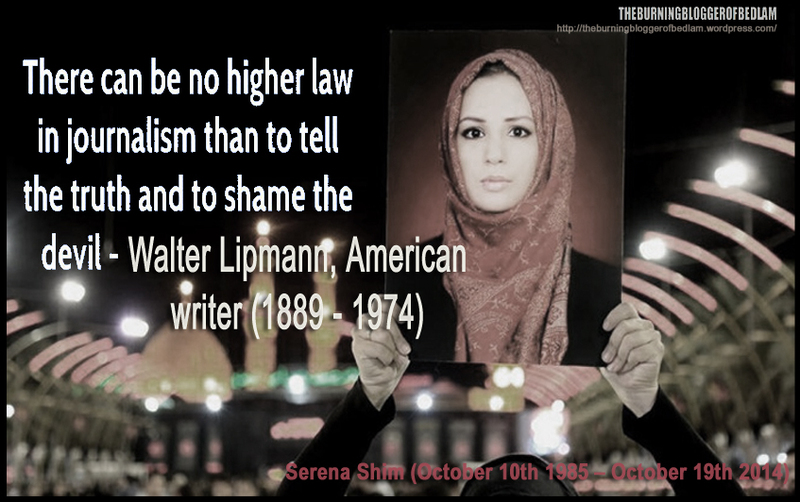 The man was simply a nothing on every level other than evil, where he was a hard working mediocrity. The leadership ballot will be held tonight. The result is irrelevant, it is all over now for our dirty little man and the destruction of this evil clown is a joy to behold. The Liberal Party room meeting is reported to start at 9.15 pm in Eastern Australia. Treasurer Joe Hockey has come out in support of the Prime Minister. He is likely roadkill at this stage. In recent weeks Abbott loyalist and Minister for Immigration peter Dutton claimed that the ABC and fFairfax were conducting a campaign against the Abbott Government. The ABC’s four television stations all fell off the air this afternoon for at least half an hour. Scheduled repairs always take place late at night. The political career of the Conservative Australian Prime Minister Tony Abbott is effectively over fewer than 18 months after winning a resounding victory in the Australian Federal Election of September 2013. Abbott’s demise is now certain, as the media have turned on him completely to an extent that is almost suspicious. Abbott’s personal decision to Knight the Queen’s husband as part of the Australia Day honours was seen as the last straw for his leadership within the Conservative coalition. Numerous prominent figures within the Coalition have expressed their loss of confidence in Abbott’s leadership in recent weeks and he is now the “wounded bull” forced to spend all day every day trying to assuage doubts about his position. Constantly questioned by the media about his future and his shortcomings as leader. He cannot get a moment of “clear air” and it will remain this way until his ultimate political demise, whether at the Tuesday, February 10th Coalition party meeting or in the succeeding months. Abbott has made little impact as Prime Minister. His main strength has been his incompetence which caused him to be unable to implement his bizarre and incoherent policies. From a rhetorical point of view the Abbott leadership has been marked by numerous unseemly lows. We had the “Team Australia” nonsense, the utterly ridiculous declarations regarding Scottish independence . The disgusting claim on 18th July, 2014, less than 24 hours after the incident. that the Novorussian rebels had deliberately destroyed Malaysian Airlines Flight 17 in a terrorist attack, an entirely sinister and incorrect statement. A statement that has proven completely contrary to the facts. A statement that in time will shame the nation. I especially enjoyed the statement that “all Australians support the Ukraine Armed Forces” in their catastrophic and murderous Eastern campaign. 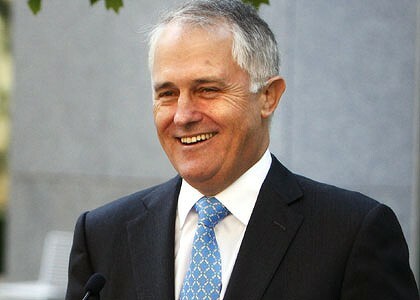 “The government and, I believe, the Australian people, would like to repay Ukraine for its support and friendship, especially as Ukraine continues to be subject to active destabilisation and indeed outright invasion from Russia, a country it has never, ever sought to harm,” he said.” He has also preached austerity whilst expending tens of millions of dollars on the farcical “search” for Malaysian Airlines Flight 370. 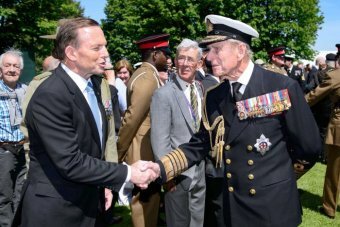 In happier times, Abbott meets his unforeseen future nemesis. The decision to Knight the Duke was weird but so was the whole decision to restore the system of Imperial style honours after a 30 year gap. But it was harmless and had no negative impact on peoples lives and overall I am confused as to why the Abbott government has been destabilised and why the media have taken the clear strategic decision to destroy Abbott’s career and this new Conservative Government. Interestingly another power struggle is currently under way at the very top of the New South Wales police force and it is hard to avoid the suspicion that there are unspoken reasons behind these power struggles. Abbott is expected to be replaced by the Liberal Oligarch, former Barrister and Merchant Banker Malcolm Turnbull, politically Clintonesque but never popular in the electorate. A fact that is generally ascribed to the combination of wealth and arrogance. Turnbull was the head of Australia’s disastrous Republican movement, Abbott on the other hand is an arch Monarchist. Both attended Oxford University. Turnbull won a conspicuous victory over the British establishment as a Barrister in the 1980s, successfully representing the former British Intelligence Officer Peter Wright in his bid to publish the book Spy-catcher, a somewhat unflattering portrayal of the operations of MI5, the domestic British intelligence agency. The Abbott government lists as it’s achievements the abolition of the Mining Tax on Oligarchs and the maintenance of brutal prison camps for refugees in Papua New Guinea. The Government’s politically disastrous first Budget will presumably be accorded the primary blame for the Prime Minister’s political downfall. Although the comparatively warm and intelligent Turnbull is the front runner to replace Abbott, there are other possibilities. One is the Foreign Minister Julie Bishop, another is the Cheneyesque Scott Morrison. It appears that Abbott still retains a reasonable degree of support from Right wing elements of the Coalition, but should they realise that Abbott is doomed, they may choose to try and insert anyone other than the unacceptably liberal Turnbull. Sunday, February 8th. Brief Update. The Coalition Vote on the Leadership spill was brought forward to Monday the 9th today. Interviews with supposed Sydney siege hostages were broadcast on Channel 7 tonight and in the course of the interviews it was made crystal clear that the false narrative that has been created was specifically crafted to discredit Prime Minister Abbott. I refer specifically to the Marcia Mikhael interview during which Mikhael related that she was told that the Prime Minister would not talk to the hostage taker as he demanded, because the Prime Minister “is a busy man.” This is a most silly and sinister story. It is unbelievably silly because we are expected to believe that a politician would ignore the chance at glory provided by causing hostages to be freed. It thus appears clear that the removal of PM Abbott is part of a large and well orchestrated plot. The identities and motives of the plotters however remain obscure. Prime Minister Abbott shows his character in the Australian parliament, July 18th, 2014. Spot the difference in the actual article:”The US official cautioned that the assessment is not final and that US analysts are still investigating.” But it was CONFIRMED in your headline! No qualifier whatsoever! This is the supposed “opposition” to the maniacal Murdoch. (Story was written by Michael Birnbaum and Anthony Faiola of the Washington Post) Later we get it from US Ambassador to the UN, Samantha Power, an individual with an extensive recent history of brazen lies, most notably the war mongering whopper that the United States “knew” that the Syrian Government were responsible for the August 2013 al Ghouta False Flag, a lie exposed thoroughly and in detail by Seymour Hersh here.